You shouldn't be too surprised to see that a St. Pauli shirt has featured on this list. Every season they seem to release at least one shirt that catches the imagination of supporters or collectors from all over the world. This season I believe it is the third shirt that stands out the most in this regard. The shirt is manufactured by Under Armour who aren't all that common in football as they are in other sports that they are associated with. That being said I own a shirt made by them and can confirm that they know how to make a good shirt regardless of the sport that they are working on. The colour scheme used for this shirt is very simple. A predominantly black shirt with the only break in this from the logos and of course that center graphic. It is the graphic of the skull, which is synonymous with St. Pauli, that causes the shirt to stand out. For passers by or the casual fan they may wonder and question to why this is present on a football shirt but you'll feel cool no doubt wearing it. I love how the club and Under Armour logos fit nicely into the eye sockets of the skull, a sentence I never would have thought I would need to write for a football shirt. 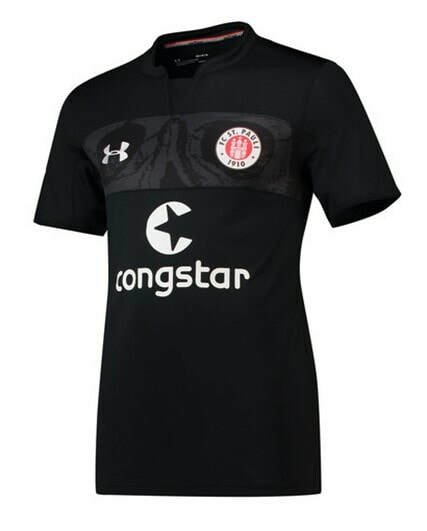 I already own a St. Pauli shirt as for any football shirt collector, it is a must buy for their collection. Hamburg are arguably the biggest team that play in the 2. Bundesliga so it isn't all that surprising that the shirts they release are good quality and have very professional looking designs. I don't know if I should really be including this shirt in the list if I am honest as this shirt was initially released last season and used as the away shirt. 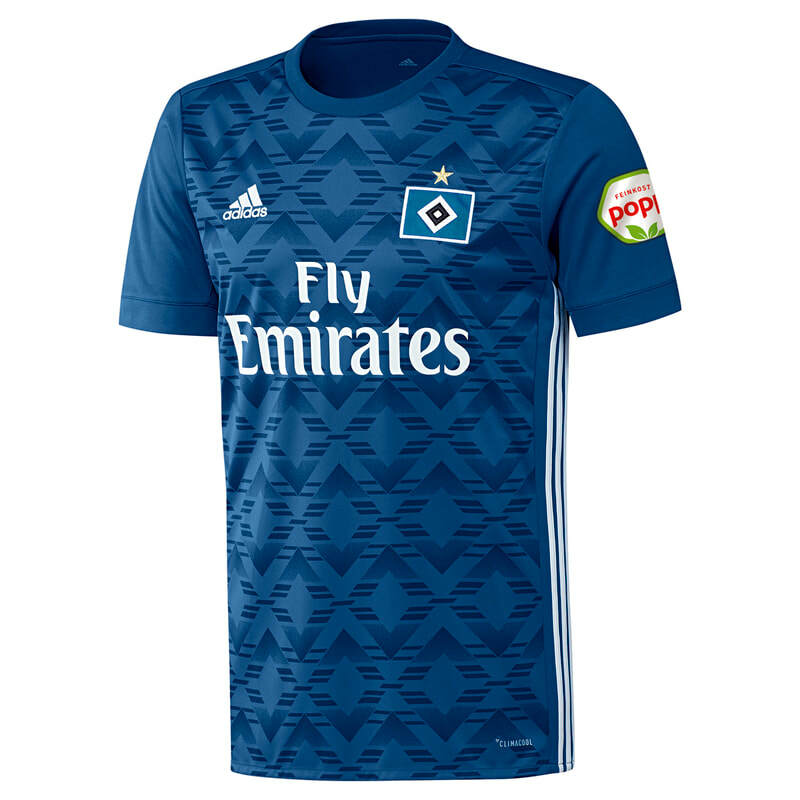 What Hamburg have done is carry this forward into this season and continue using it as a third shirt. That being said I didn't have a list up and running for last season and as such I am going to include this shirt. 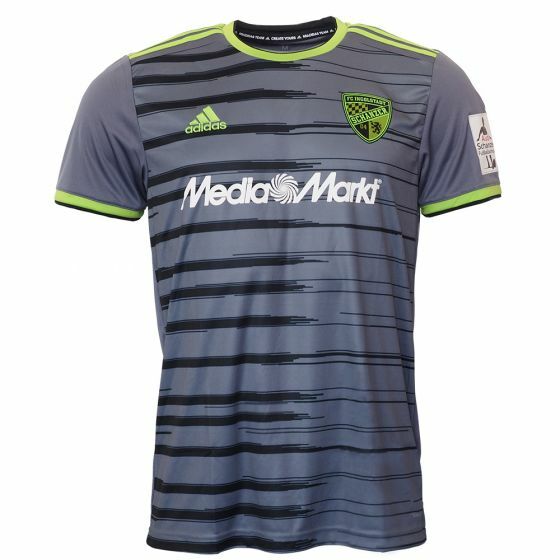 I like the design that they chose to use for this shirt as there is something satisfying to see how the arrows / chevrons interlock and move up and down the shirt. Also for me the Fly Emirates sponsor takes me back to my formative years as a young Chelsea fan. I don't own as Hamburg yet as for whatever reason they rarely drop in price enough for me to think about buying one. Maybe this shirt will be the one that I pick up and finally add to my collection. This shirt features a design that I don't think I have seen on a shirt before. It is one that I really like though. It is a different approach to the typical horizontal lines that you see. I feel that faded effects are becoming more and more popular in football and this is just another example of this. The only aspect that I feel that this shirt has got it wrong is the fact that the lines continue under the sponsor whereas I feel that if there was a small break in the design to fit the sponsor then it would look a bit more neater.I like the colour scheme that has been selected for this shirt. Grey may not be the most appealing shirt colour when deciding on one but if you are able to compliment the shirt with a more vibrant shade like the lime green that this shirt had, then it stands out a bit more and is easier on the eye. I don't own an Inglostadt shirt yet and this is one of the shirts that I have placed on my wish list so I will be doing my best to be able to pick up this shirt at the end of the season when the prices fall. A manufacturer that a lot of people may not be all that familiar with. I have heard and seen of them before but I am yet to own a shirt that is made by them so I cant really comment on the quality of the shirt itself, though I suspect that they will be decent enough at the very least. There are two standout features for me on this shirt. The first one is the colour combination that has been selected. 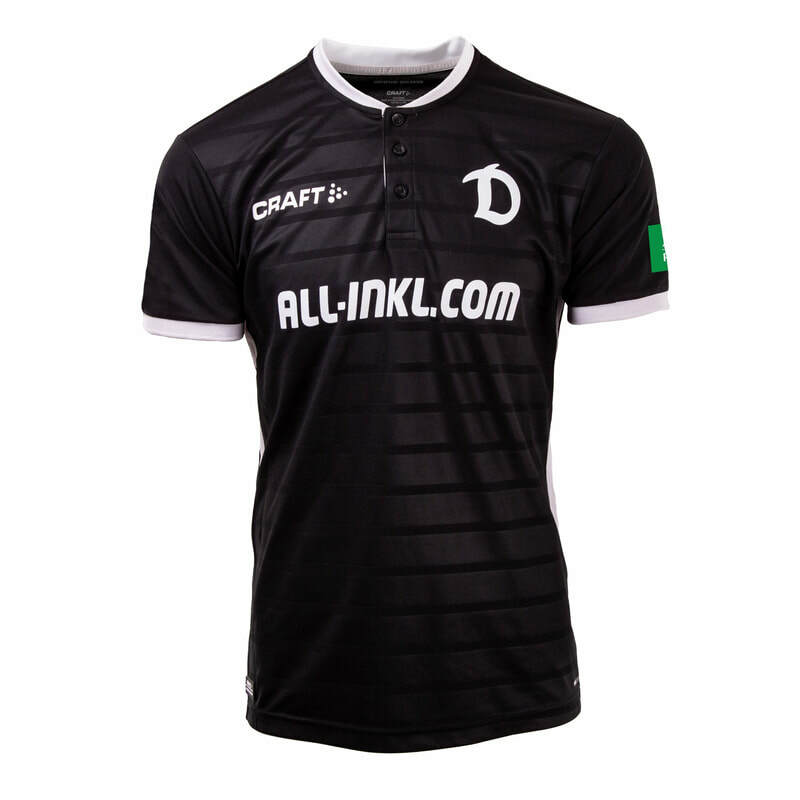 Shirts that are predominantly black and have white trims and logos always look great in my opinion. Especially ones that have thin horizontal (or vertical) lines that break up the black ever so slightly which creates a nice effect when the light catches the shirt. The second feature that I enjoy is the simple but sleek logo that the club has gone with for this third shirt. Instead of using the full logo they have just gone for the "D" and this just makes the shirt look even more cool in my eyes. I am yet to own a Dresden shirt and I would need to see if this shirt were to come with tags first before I were to buy one of them. 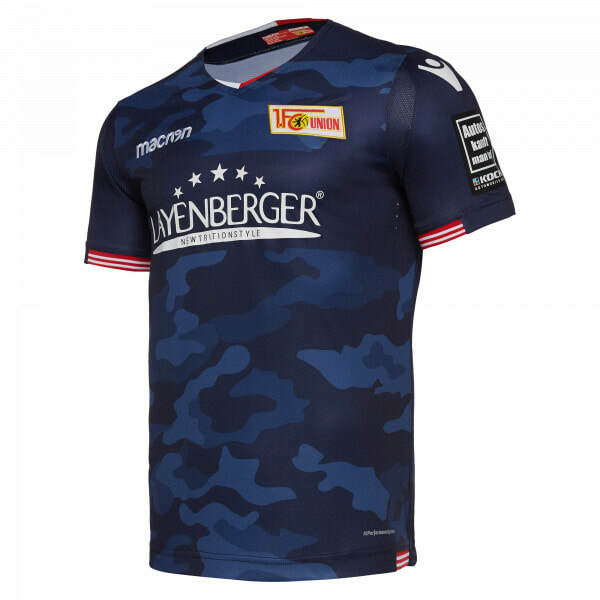 I will never tire of seeing a camouflage design on a football shirt. For me as a football shirt collector I always get a sense of joy when one is released. I was disappointed when I missed out on the Union Berlin third shirt from last season so when I saw this one released this season I knew I had to pick it up. The only issue with that though is wherever I look I am unable to find one in a medium. They are all sold out which confirms how amazing this shirt is and its design. Macron are also my favourte shirt manufacturer so I know without doubt that the quality of the shirt will be exceptional. I like how the colour scheme is quite subtle which I guess helps with the whole camouflage theme, though I don't know what background they would be camouflaging with based on these colours that they have used. If you own one of these shirts then I am very jealous of that fact as this piece would be a great addition to any football shirt collection. I hope I can pick up one from somewhere.